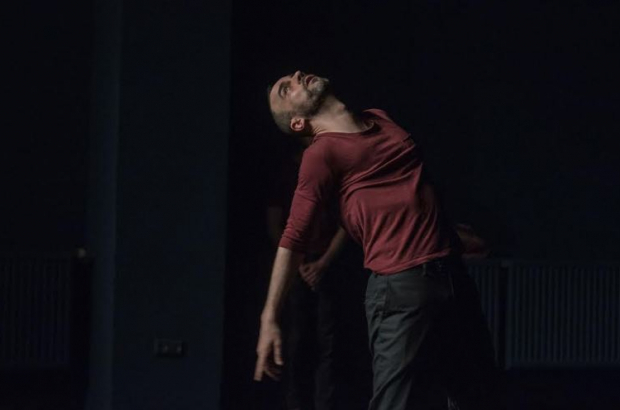 David Hernandez is a Brussels-based American dancer, performer and choreographer currently working with Moya Michael on Coloured Swan 2: Eldorado, a dance/theatre/performance piece having its EU première at KVS this month. He took time out from his rehearsals for Coloured Swan as well as other performances to answer our questions. What brought you to Brussels and how long have you been here? I’ve been living in Belgium for over 25 years in the Marolles - so I consider myself Bruxellois. I was apprenticing with Tricia Brown in New York and I took a little break over the summer to come with Meg Stuart to work in Brussels and I ended up staying here, after this project which kind of exploded into a big world tour. What is Brussels for you? I think that Brussels is a very cosmopolitan island in the middle of the country which is Belgium. I enjoy spaces like this because they feel a little bit outside the kind of black and white of nations, and since I have been a world-travelling performer for most of my life I don’t really understand these ideas of nationalism. I feel like a world citizen even though that sounds super-clichéd, and I think that a city like Brussels is very indicative of this kind of population - a real mix of many different kinds of people, but at the same time with a long history. Also coming from the States where the kind of art that I do is very very meagerly supported if at all, Brussels is a certain promised land for artists. How do you characterise your work? That’s maybe something that’s kind of confusing to people because when I was living in the States, maybe this is the best way to explain it, I was lucky enough to be able to do a lot of different things so I didn’t have to wait tables in a café in order to be an artist. I was working a bit in commercial television, in music videos, acting, singing, dancing, singing in opera and in jazz, in radio commercials, and what I realised later was that I was actually happy doing all of these different things. I was somebody who had heard all of my life the term: "Jack of all trades, master of none" which I never adhered to, and I took a lot more work living three or four careers and lives at the same time but it’s actually where I feel best. But often I’m a purist, I do like to not always mix everything. Even though I do a lot of performances that are mixed media, I also enjoy making a pure dance piece and doing theatre and doing music on its own. You are a native of Miami with Cuban, Puerto Rican and Scottish roots. Do you involve that background in your work? This performance is a mixed media performance - there’s video, there’s dance, there’s text, storytelling, I’m singing, it’s a mix of a lot of different things which as I explained earlier is quite indicative of who I am as an artist and I think for that reason it’s very personal. For Coloured Swans we are definitely diving into my heritage and using that as a kind of foundation for a lot of things, not necessarily to exemplify my heritage as more important or less important than anyone else, but as a start to a discussion that we want to have. More and more of the world is of mixed race and that’s not being talked about much and so it was a way to readdress this discussion in an other way by using both of our heritages and the fact that there’s a lot of people that don’t know what box to fill in when you get that little form when you’re in high school with that little list of five or six nationalities that you’re supposed to fit under and choose your umbrella and you’re standing there saying: I don’t know which one I am, because I’m actually several of these combined. So it starts from this standpoint. We’re trying to create an experience for people where they not only see this performance but also to make them reflect on their own position in this cosmopolitan world we’re living in and using as a diving board our personal stories in order to offer up a situation where we all reflect on not only where we came from but how we have to coexist. We want to get away from the rhetoric as much as possible, go simple - this is my story this is how I can connect to certain issues through what I’ve lived and that’s all I can do. Coloured Swan 2: Eldorado, KVS Box, 15-16 November. Sorry! Our prize draw to win tickets has now closed and the winners have been informed by email.